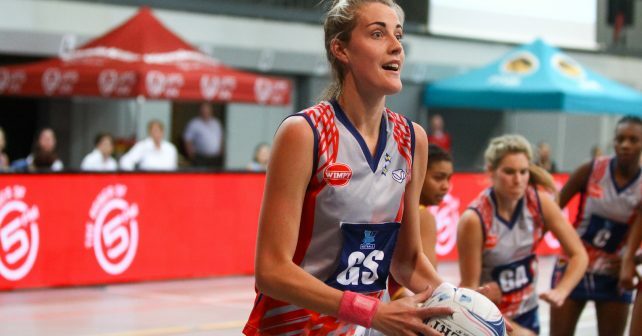 As Kovsies took on the Maties in a nail-biting encounter at the Callie Human, Bloemfontein, the home side booked their place in the Varsity Netball final, winning their semi-final 56-45. The first quarter was untidy in terms of incomplete passes and unforced errors from the home side. The Maties side capitalised on the mistakes, taking the lead at the end of the first quarter, 12 goals to 9. Kovsies brought on Meagan Roux to start the second quarter, replacing Lefébre Rademan at goal attack. The goals stayed with the centre passes for the beginning of the second quarter, but with the Kovsies defenders, Khomotso Mamburu and Ané Retief doing excellent working with the rebounds, the home side evened the scores with just under 10 minutes left in the quarter and shortly after took a lead of their own ending the first half 25-23. The second half saw Roux moving to wing attack and Rademan coming back on at goal attack. The break clearly did the Kovsies well as their game seemed to flow much better. With 9 minutes left in the third quarter, Kovsies called their power play. Both teams scored two double pointers taking the score to 35-31. The power play unfortunately saw Roux injured and she was replaced by Rieze Straeuli. Despite the Maties surge, Kovsies managed to end the quarter with a 2 goal lead with the score standing at 40-38. At the start of the final 15 minutes, the Maties defenders seemed to lose Alicia Puren under the goalpost. With 6 minutes left, Maties called their power play and both teams scored only one double pointer each. This power play also saw Kovsies reach the 50 goal mark. After the power play, the Kovsies side took off and extended their lead to 11 goals to win the semi-final 56 goals to 45. 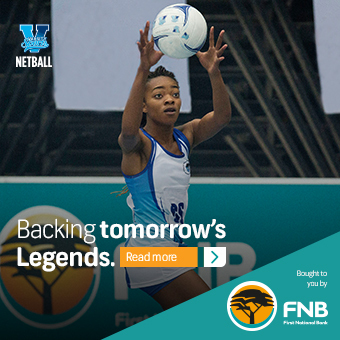 They will go on to play the UP Tuks in the final on Monday, 8 October, in Bloemfontein.